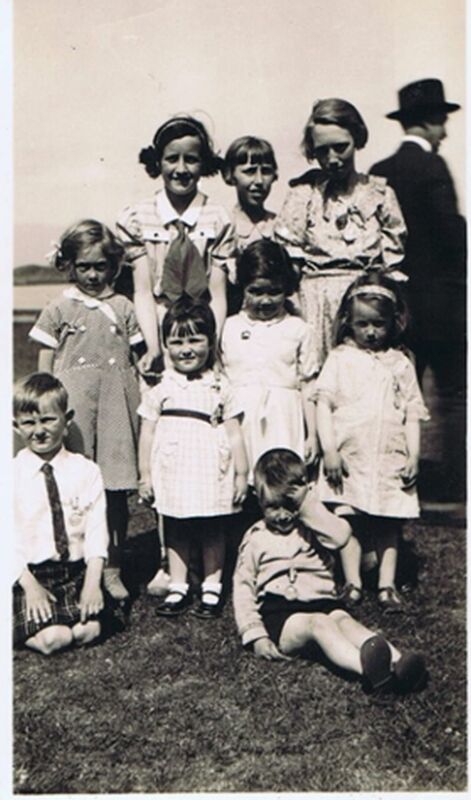 Circa 1937 - back row Mary Ann Robertson (Nan), Mairi Maciver and Nina Maciver. Middle row: Ethel Iley, Ann Grigor, Mary Iley and Ethel Robertson. Front row - kneeling: John MacLean.